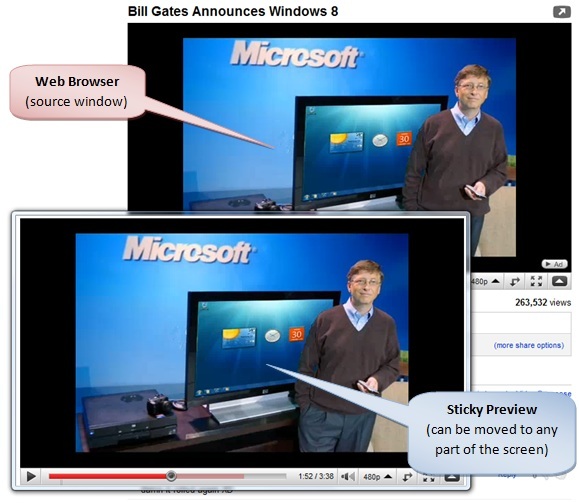 Sticky Previews is a lightweight productivity tool that lets you create live previews of any window or a screen region of your choice. It keeps previews above all other applications like a sticky-note thus allowing you to monitor any background window in real time no matter which application you’re working with. Personally, I use it mainly to watch YouTube videos in the background when I'm doing everyday things. You can quickly make the active preview larger or smaller just by using the mouse wheel or Plus/Minus keyboard shortcuts. The small yet convenient trick here is to not close the preview window when the video stops playing. 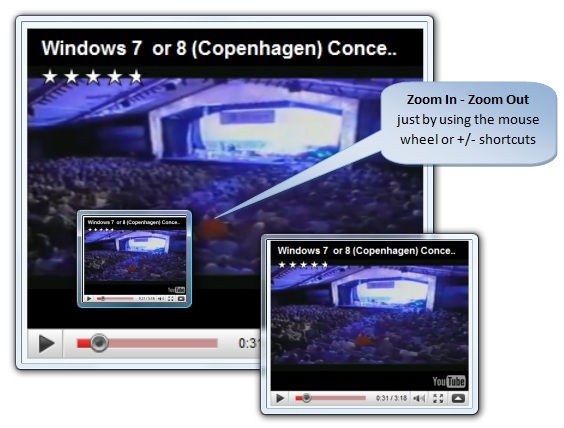 Instead, double-click it to open the parent application (a browser in this case) and run another video - it will play in the same preview window. I would love to give it away, but I do have bills to pay. So, it is priced at $9.95 per user.